Africa Jump : Bonjour Mme Mbango , que veut dire »Share Knowledge » ? Share Knowledge veut tout simplement dire Partager la Connaissance. Nous l’avons baptisé ainsi parce que non seulement notre partenariat avec Baobab repose sur un partage, mais aussi l’action que nous allons menée. Exporter plus de 10 000 des livres de Géorgie (EU) au Cameroun afin de les mettre à la disposition des établissements scolaires et secondaires faisant partie de notre réseau de contacts. Accompagner le plus d’établissements scolaires possibles à ouvrir et à rendre opérationnelle une bibliothèque avec les livres et donc partager la connaissance. Africa Jump : Bonjour M Hervé Zoua pouvez-vous présenter votre organisation Baobab à nos lecteurs ? Can you introduce your organization to our readers? Baobab One Voice started in 2005 as Continental Africans Solidarity Club (CASC) and became Baobab Club in 2009. In 2012 Baobab name was changed to Baobab One voice. Promote togetherness among Cameroonian descent living in the Atlanta metropolitan area of Georgia. Promote the well-being, advancement and wealth of its members through the mobilization of resources and talents available locally, nationally, and internationally. Promote Cameroonian philosophical, social and cultural heritage in Georgia. Promote developmental programs in Africa by engaging in charitable actions on healthcare and literacy. Healthcare system in Cameroon by Dr. Francois Ayabakan. Medshare where we sort medical supplies for Africa and create leads for Cameroonian hospitals to get used medical supplies for almost free. Books for Africa where we sort books for Africa. We are currently working with them to send containers of book to Africa in collaboration with another group name JUMP as Africa Jump. The Partnership with REPCAM in Cameroon to which we are sending a financial contribution every year to take care of kids whom parents are incarcerated. We also send them a 1/2 pallet of used toys every year for their Christmas parties in all 4 jails that they are covering. We are in the process of creating an investment fund that will allow members to invest in project around the world. 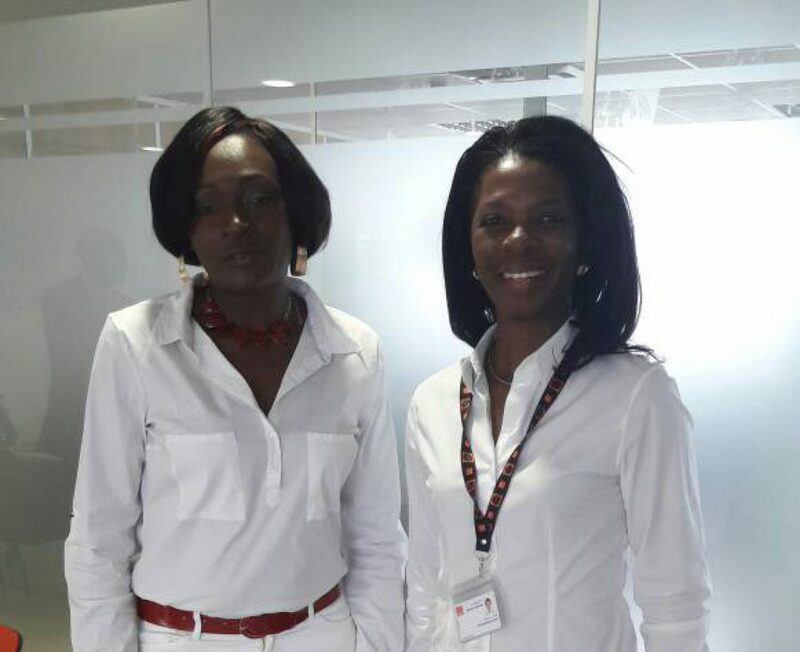 Africa Jump : Mme Mbango & M Zoua pourquoi avoir choisi de devenir partenaires ? Why did you choose to become Partners ? FM : Nous recherchions un partenaire international disposant du réseau relationnel et de l’expertise dans le domaine éducatif. Au vu de ce que M Zoua vient de vous exposer Baobab devenait pour nous le partenaire idéal. De plus en Géorgie ou il opère, il jouit d’une solide réputation, ce qui a été pour nous une condition déterminante. Cela nous rassurait tout en nous apportant la garantie que nous mènerions notre projet commun à terme. The leadership of Africa Jump is 1st class. They are proven leaders who own their mission. The need for Baobab One Voice to have local Partner in Cameroon who share our values and our willingness to serve our country. The impossibility for us to be at two places at the same time. The passion showed by Africa Jump leadership in their ability to make it happen on the ground. The trustworthiness of Africa Jump. We are working for years with Books for Africa, the biggest exporter of Books to the Africa continent. We therefore, have participated to the shipping of thousands of books to countries around Africa except Cameroon because of the lack of reliable partners. Africa Jump is offering us that opportunity. Africa Jump: Pourquoi des livres, pour quels résultats / Why books and what are the expectations ? FM : Les livres incarnent la connaissance, le savoir. En d’autres termes tout ce qu’il nous reste lorsque l’on a tout perdu. Offrir des livres, des bibliothèques à notre jeunesse, c’est en définitive lui offrir le savoir et la connaissance. Deux missions qui tiennent à cœur nos deux organisations. HZ: We decided to be involved in books because we know the importance of books. Books allowed us to dream when we were young. Books allowed us to travel around the world without moving form home when we were young. Books allowed us to acquire the knowledge when we were young. Books alongside other local activities allowed us to have some sort of entertainment when we were young. With all those benefits we gained from books, we couldn’t pass on the opportunity to give those same experiences to young people in Cameroon who mostly can’t afford books. Africa Jump vous remercie !